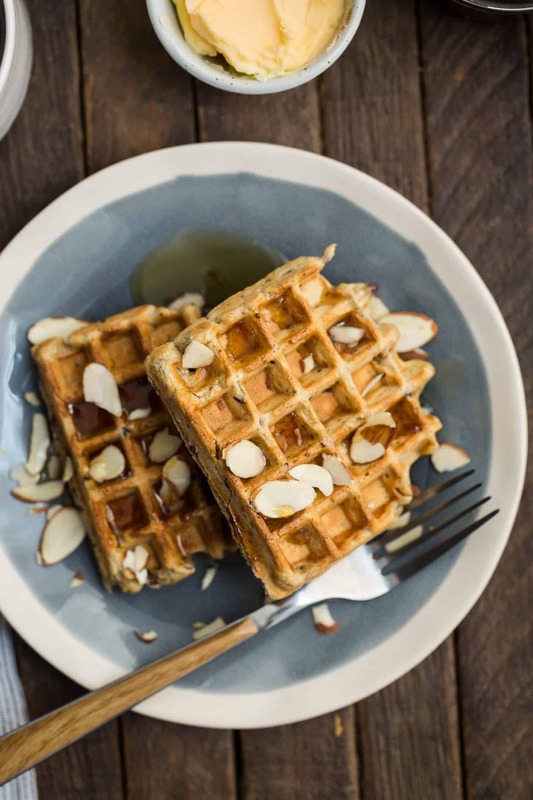 Vegan Carrot Waffles from The Love and Lemons Cookbook | Naturally. + Recipe is reprinted from the book. I made a couple swaps based on what I had around: chia for the flaxseed and I served the waffles with almonds and fig jam. I think what I love most about this cookbook is how it’s broken down by ingredient with helpful tips and so many amazing recipe ideas. If you’re looking for a cookbook to be the perfect companion for all that Farmers’ market produce, this book is it. 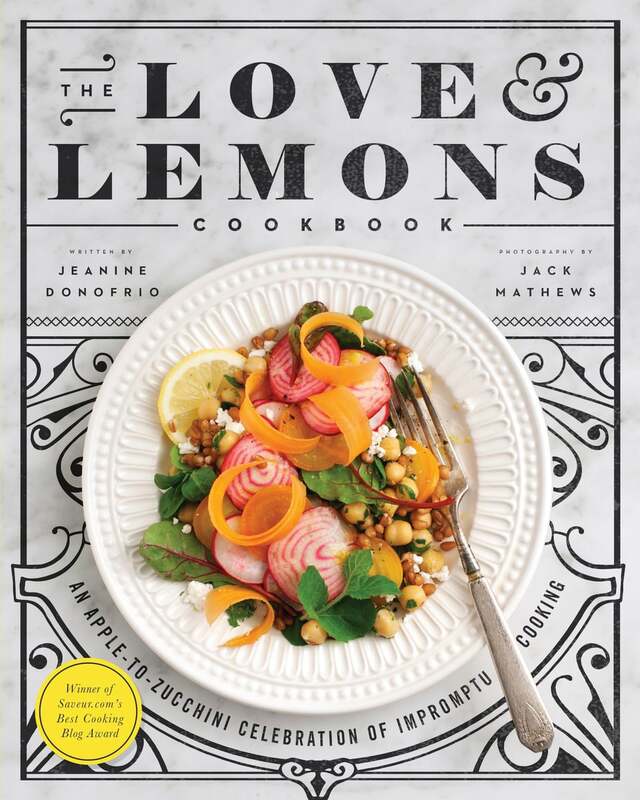 Check out a few more sample recipes from the cookbook or see more about the book on the Love and Lemons blog. This looks and sounds absolutely delicious! 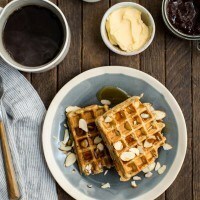 The carrots will lend the perfect texture to these waffles and make the recipe that much more festive. Now I want to check out Love and Lemons! i am seeing more and more recipes based on the L&L cook book, and it looks like such a solid book! Loving these waffles. 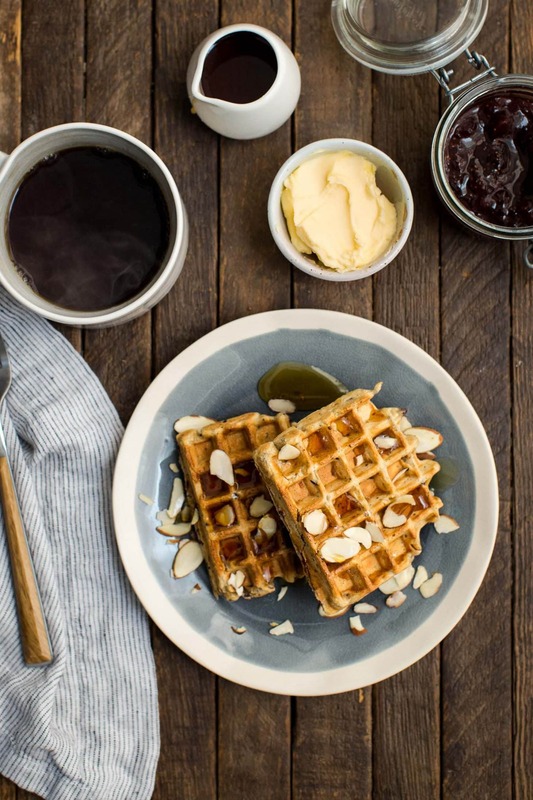 I’m glad you liked the waffles – thank you for your sweet post! This looks absolutely delicious! I must try sometime soon. Do you have any idea how many calories are in this dish? I’m trying to put together a meal plan for myself that fits a certain amount of calories a day. Does the cook book state it? Thank-you!